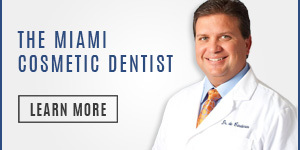 As one of Miami’s top dentists, Dr. Andres de Cardenas cultivates an innovative and personalized solution to any dental problem that a patient may have. 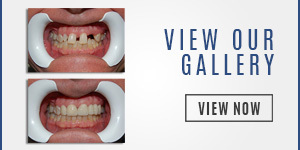 Offering a wide range of medical and cosmetic dental health services, Dr. de Cardenas and his team strive to ensure that not only are patient needs and concerns addressed but also that they have the options available to them to exhaust every resource possible when in need of dental treatment. At Dr. de Cardenas’ office, this is our motto. Our staff of experienced dental care professionals is committed to making the patient experience in our office as comfortable and anxiety-free from the moment you walk through our doors. 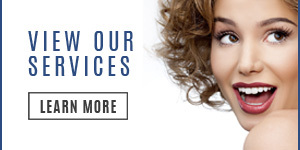 Our dental practitioners take the time with each and every patient to explain treatments and procedures in a caring and non-threatening manner, ensuring that you are informed and prepared for any dental procedure. At our dental office, getting to know you is also a top priority, as we treat every patient as if they’re family. This concept of family is important to Dr. de Cardenas, even when referring to his extended patient family. This is why our practice takes the approach that we do. Dr. Andres de Cardenas want to make sure that you feel truly valued as a patient. Our staff aren’t the type of dental professionals to make a suggestion or recommendation as your only option for treatment and will ensure that you are informed about every course of action. This value of our patients is why we offer the services that we do, with the commitment to our patients. 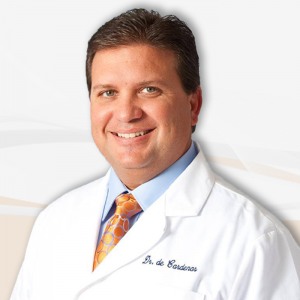 Dr. de Cardenas may be considered on a short list of the best cosmetic dentist in Miami, but the ultimate goal is to have you feeling good, not just looking good. We do our best to incorporate a human element in every diagnosis, every procedure, every treatment that we provide. Dr. de Cardenas saw the cost of dental implants under certain circumstances and knew that for some patients, this price point would be unacceptable. Dr. Andres de Cardenas now offers affordable dental implants in Miami using the All-On-4 implantation technique. Please click on the links below to learn more about each service.